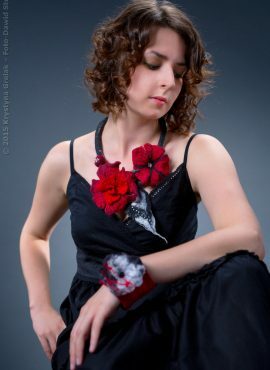 Red felt necklace with romantic flowers perfect for anniversary. 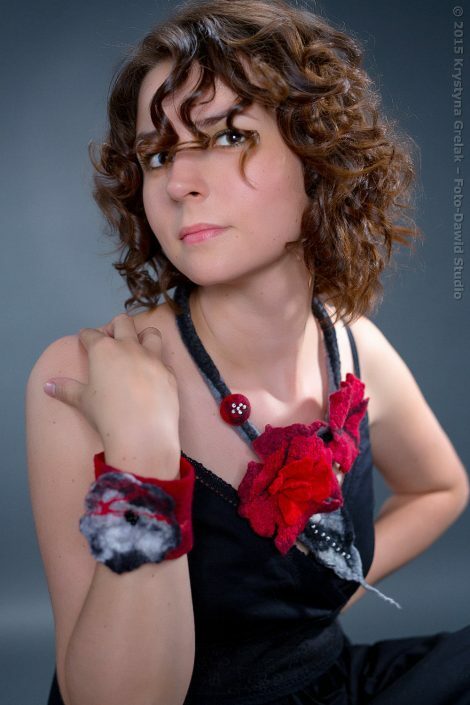 It is really classy and elegant piece of nuno felt jewelry for woman who loves reds. 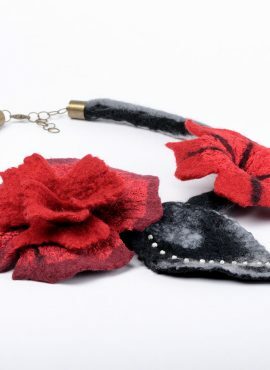 This felt flower necklace is really beautiful and romantic piece of women jewelry. 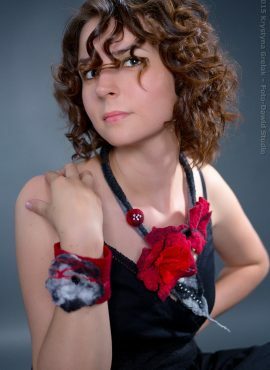 It is made by hand in nuno felting technique and consists mostly of natural merino wool in classy colors (red, black, white and gray). 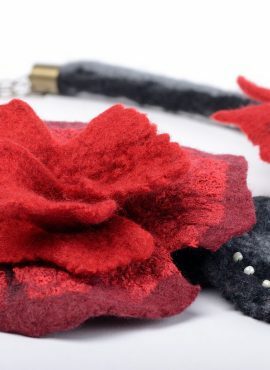 Its petals are decorated with red silk fabric and its leaf has a little bit of decorative silk fibers. One of the flowers and the leaf have a few glass beads, which gives them more visibility. The necklace is equipped with an anti-allergic bronze clasp and extender, so you can easily adjust it to your needs. It all makes it really stylish, perfect for women, who love art jewelry. 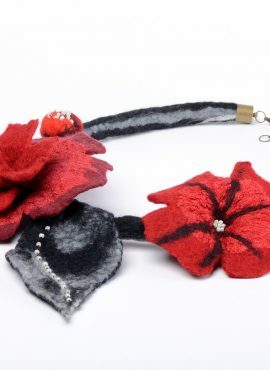 This felt flower necklace is suitable for all seasons, as merino mixed with silk is very soft and breathable. Its sensual and romantic colors make it really impressive and eye-catching. It will be a perfect gift for birthday or anniversary. 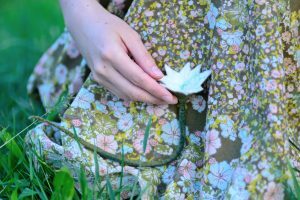 You can also give it without any occassion – she will appreciate it the most. Thankyou so much for the absolutely beautiful necklace. I just love it and cannot wait to wear it. Thankyou also for the lovely matching bracelet. You didn’t have to do that. So very happy with purchase and thankyou once again.